Would it be easier for you to achieve your weight loss goal if you didn’t have to prepare your own meals? What if these meals where cooked by chefs, designed by dietitians, and shipped to your door? Thankfully, there is a number of diet food delivery services that do exactly that. They appeal to busy people who appreciate not having to spend much time in the grocery store or kitchen cooking healthy meals, or to those who just want to lose weight while eating tasty, nutritionally balanced, fresh, gourmet food. The goal of these services is to save you the time and effort of cooking, counting calories, measuring portions, or going grocery shopping. 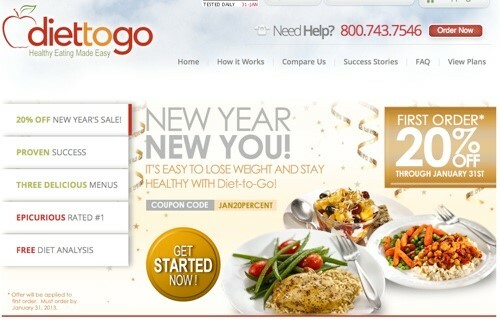 You can expect to lose 2 lb/week with these weight loss meal delivery services. In addition to shipping in all US continent, it offers local pick up in Baltimore, Philadelphia, and San Fransisco. Perfectly portioned meals of 1,200 and 1,600 calories. For the first 9 weeks, every 3 weeks you get one week free. Very versatile. You can choose between a 3-day, a 7-day, and a 14-day program. 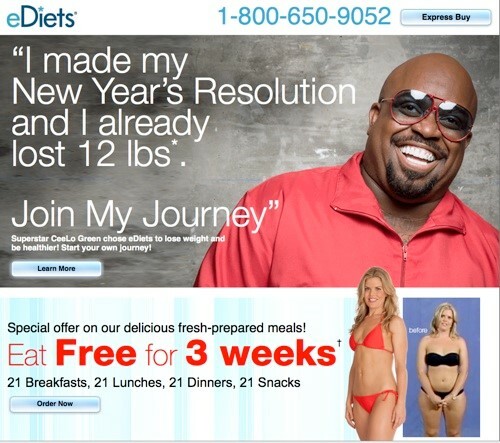 You can read an extensive review of eDiets here. You eat 3 times a day. Optional 2 snacks. You can customize the meals by selecting your preferred ingredients. You can cancel any time. You pay a week’s worth of meals each time. Food arrives fully cooked and frozen. You just microwave it and eat it. Make sure you use coupon SAVE25BONUS so that you save 25% on BistroMD. All 3 meal delivery services have registered dietitians that can offer advice and support. 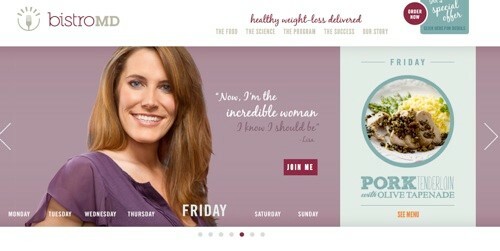 They also offer weight loss tools and community forums or Facebook support groups. If you have a specific weight loss goal they will formulate their plan to suit your particular goal. You can’t go wrong with any of these plans.